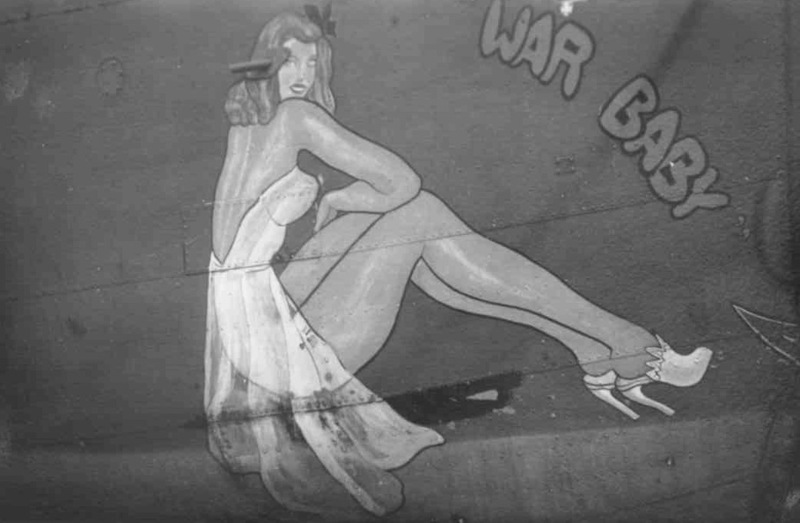 For more than a year B-17 Flying Fortresses and B-24 Liberators from U.S. 8th Air Force, based in England, had been doing daylight bombing of enemy targets in Germany and France and among others even in Norway. On Thursday November 18, 1943 it was again time for a big raid, this time on a Luftwaffe repair depot outside Oslo. 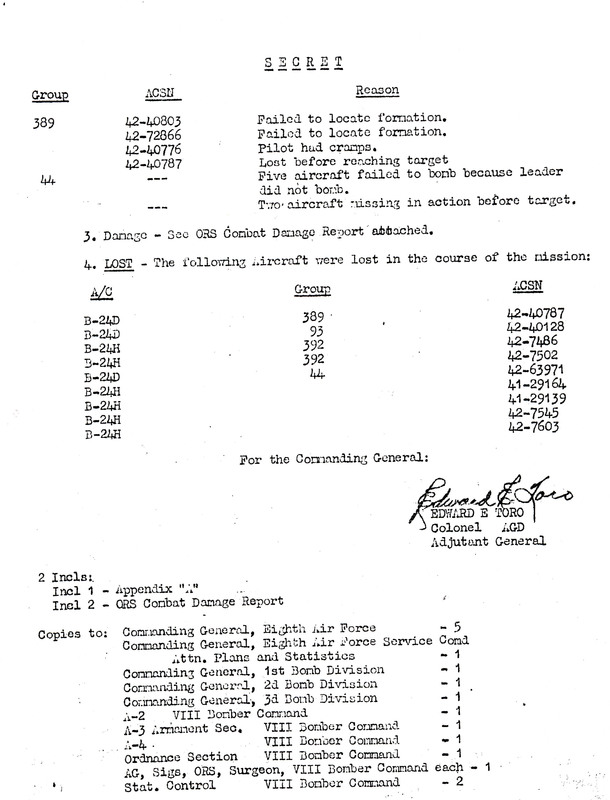 Two days earlier Liberators had tried it, but had been forced to return since clouds covered the target. 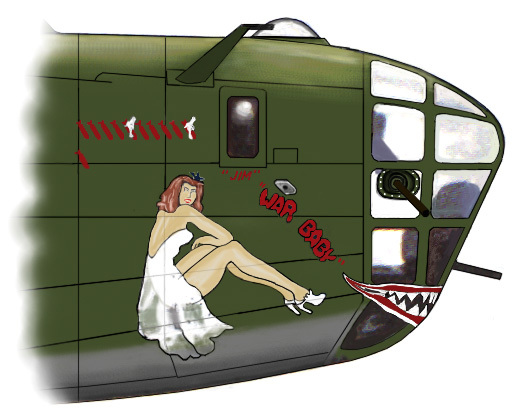 Now, however, the view was perfect and the attack took place from an altitude of 12000 feet and with very good result. On the way home the large group of almost 100 planes had barely seen the coast disappear behind them when the Luftwaffe appeared in form of a group of Messerschmitt Bf 109 and some Junkers Ju88. During the ensuring air battle, six Liberators were shot down and three others were so damaged that they did not dare try the long return over water. Instead they turned their noses towards neutral Sweden. Some of the returning planes salvoed their remaining bombs in the ocean west of Koster Islands. The Swedish trawler "Bris" was almost hit by a bomb, which fell only about a hundred meters away. One of the three planes that aimed for Sweden later landed in Trollhättan. However, the crew had time to set the plane in fire before the Swedish military reached them. The other two planes succeeded almost undisturbed in getting as far inland as Örebro. Only one of them was shot at by anti-aircraft as it passed over Karlstad. I can tell more about the Örebro planes. I was at that time an aviation-interested schoolboy of 15. I will try to relate the event , partly as I remember it myself, partly from hearsay and from what I have learned 30 years later (1975), with help from authorities and others who have researched during the last year. It was around 12 o'clock and I was home for lunch from school when I heard an unusual and mighty engine sound. I ran to the window to look and high up in the clear blue sky, I saw (very excitedly) a four-engine plane with long narrow wings. A Liberator. The rest of my lunch break was spent watching the plane, which circled over the town. Unfortunately, school called with more lessons. Later the rumour reached us that two bombers had landed on the airfield. After the last lessons were over, I rushed on my bike out to see the exciting planes, but the military had had time to set up barriers. From the far distance one could only see the plane's outlines in the evening dusk. But then I met two friends who worked as errand boys and who been here from the beginning and they could tell! After having circled a long time over the town and also having circled over Lake Hjälmaren, just east of Örebro, they dropped some items, among them an ammunition belt at the edge of the water. 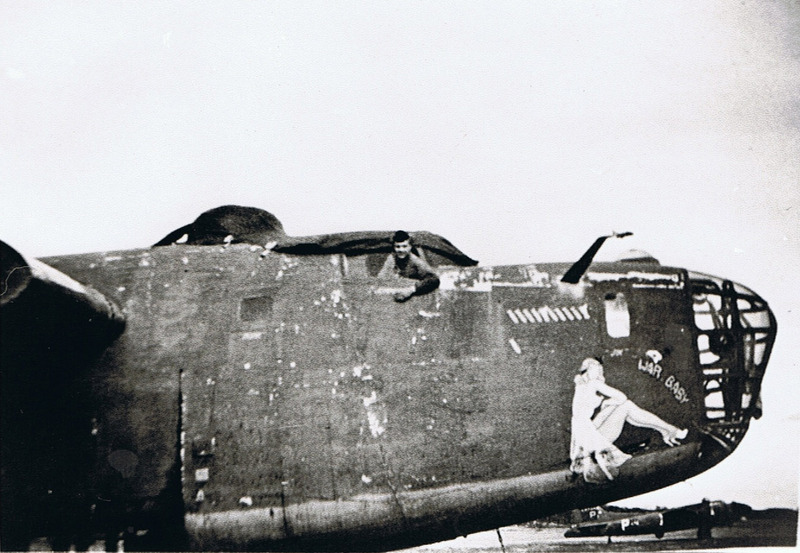 The first Liberator, a B-24H with serial 42-7502 from the 392nd Bomb Group landed at 13:10. The errand boys, who early on, suspected that the plane was going to land stayed and waited until it rolled towards them and stopped only 30-40 meters from a rail road track near the north-eastern corner of the field. They went over to the plane just as the crew (among them Lts. Fogerty and Walker) jumped out holding pistols. The boys who spoke a little English asked the fliers "English"? "No, USA," they answered and they asked "Sweden?" "Yes", was the boy's unanimous answer. Then the fliers (who thought they were in Norway) were exuberant. They laughed and shook hands and hugged the boys and offered them cigarettes (Lucky Strike). Most of the crew were young boys around 22 years old. After a while more people came, later police and military. 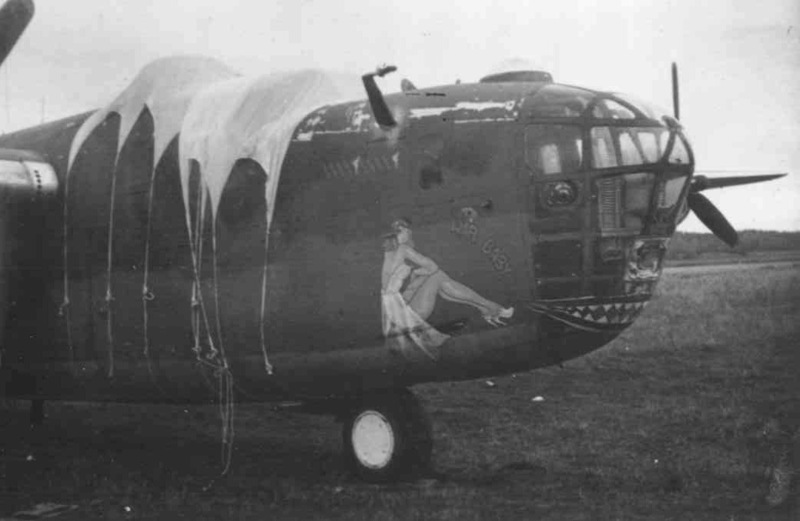 By now the other Liberator "War Baby", B-24D serial 42-40128, from the 93rd Bomb Group had appeared. After a loop around the town's outskirts, during which this plane also threw down an ammunition belt. This plane landed at 13:25 on the opposite side, which is the south-western part of the airfield. The crew (among them, Lts. Kilcheski and Hill) tried to set fire to the plane with the help of fuel containers and signal pistols. However a guard who had hurried over on his bicycle and the police succeeded in putting an end to it. 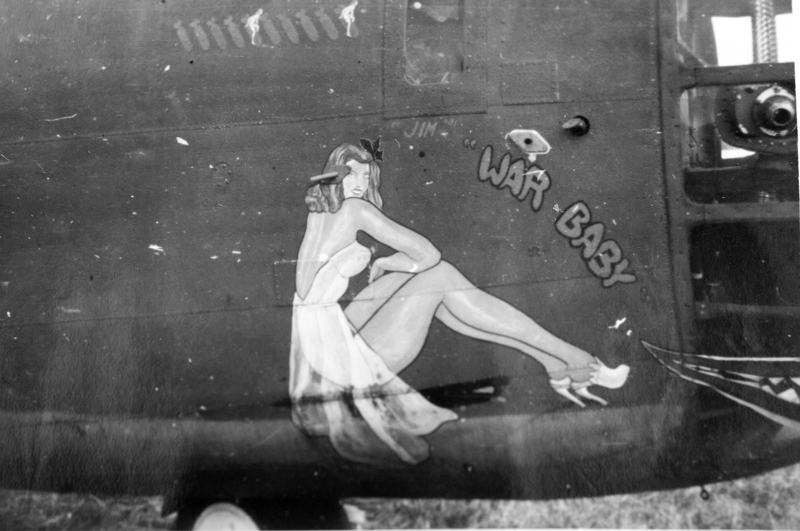 The last plane to land had the nick name "War Baby" on the nose. A number of bomb symbols showed that the plane had taken part in 11 earlier raids. The 12th was their last, but still ended happily. In one of the planes the top secret Norden bombsight remained, but it was missing from the other plane (probably the one that circled over the lake). 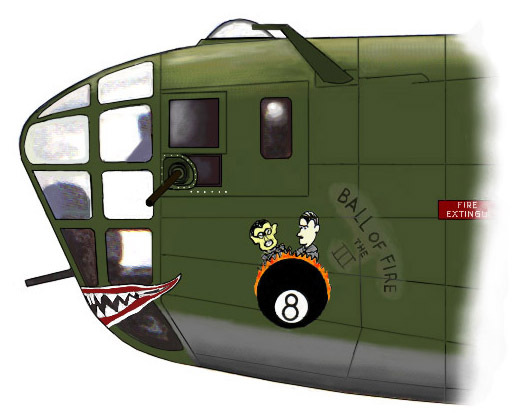 The radio equipment was destroyed on both planes while the bomb bay controls were undamaged. The crews which consisted 10 men each were later taken to the police station for interrogation. There the police arranged for food from a restaurant and the police meeting room was made into a bunkroom and the fliers had chance for a hot bath. A doctor took care of a few smaller frostbites (frozen cheeks and feet) which had affected several of the crewmembers. The next day (Friday, November 19 at 11:15) the fliers were picked up by taxicab for internment in Dalarna at the Hotel Bäckehagen. As a curiosity, one can mention that one of the cabdrivers was nicknamed "Chicago" since he had visited the USA in his younger years and thus he was particularly suitable as an English speaking guide. 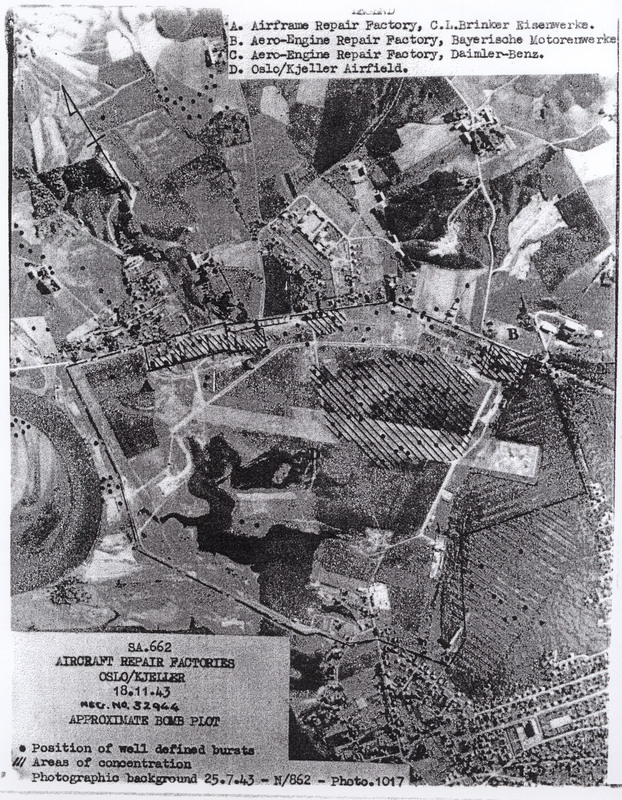 According to experts is was somewhat of a sensation that the planes could land on Örebro's airfield near Gustavsvik which was a grass field about 200 x 200 m. It was considered definitely impossible to fly them out from there. Some Swedish fliers from Västerås had tried the day after the emergency landing to start the planes, but the field as too soft and they thought the only way out was to dismantle the planes. So they waited for cold weather and frozen ground. In the meantime the Swedish military put wooden pallets under the planes so they would not sink into the clay. Furthermore they had to build a temporary bridge with timbers, stone and gravel over a creek that crossed the eastern and of the field in order to lengthen the runway. One month later, Thursday December 16, a start was made to move the planes that had made emergency landings. The planes were flown by their original American pilots, but Swedish Air Force personnel alongside the controls. There was only enough gas for the flight to Västerås. The start went without any problems and the "Yanks" didn't even use the bridge with the extended runway. They turned around in front of it and start thus took place on the normal part of the field. Yes, this was a few words about the episode with Örebros's two Liberator planes. There is probably more to add. For instance, the question of whether they lost their orientation or deliberately flew directly to an airfield that had been marked on their map. Some people will assert that the latter was what had happened, but I don't believe it. I originally wrote this article for a Swedish historical magazine in 1975. Several years later, in 1984, I had contact by letter from two members of the War Baby crew. Robert A. Hill (co-pilot) and Robert D. Bryce (waist gunner). Both of the "Bobs"have been in Sweden joining reunions in 1987 and 1990.